The Toronto Dingos got things started on the right foot in the 2012 AFLO Finals, claiming victory on the road over the 4th seeded Hamilton Wildcats by a 3-goal margin. 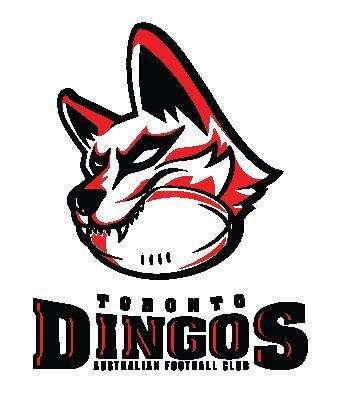 The tightly-contested match saw the Dingos down early in the 1st, but the Red and Black stormed back in the 2nd and nabbed a game-clinching 3 goals in the 4th to nail down the vicotry and book their ticket into the next round. Although a fantastic team performance by every man on the field, B.O.G. honours went to Mike Karas, who's been a rock in the backline since returning to the team. The Red and Black move on to face the #2 seeded Guelph Gargoyles, who the Dingos last played in Round 9 in Guelph, coming out with an inspiring 8.11-59 7.7-49 victory that kick-started the run to the Finals. Final score for the Hamilton match was 8.10-58 to 5.9-39 - match details can be found here. Full match report to come.